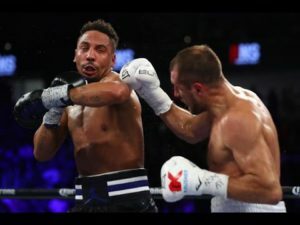 The following is the Boxing Insider notebook for the week of October 31st to November 7th; covering the comings and goings in the sport of boxing that you might have missed. There has been an overwhelming response to the return of boxing sensation and former WBO Junior Lightweight World Champion, CHRIS ALGIERI to the Paramount on NOVEMBER 30TH as he headlines “Rockin’ Fights” 33. Ticket demand to see the Huntington native has been tremendous. All of the top-priced tickets and all of the Sky Bar seats have already been sold out. Only limited tickets remain. We are contacting you, because you are one of Star Boxing’s most loyal fans and ardent supporters and we greatly appreciate your patronage. We do not want you to be shut out from this top-tier event. If you want the opportunity to see this stellar night of boxing action please be sure to purchase your tickets today as there are only a handful of seats left. Chris Algieri returns to The Paramount for the first time since 2014, when he defeated highly touted prospect Emmanuel Taylor by a unanimous decision. Algieri has dominated at his home venue, having fought eight times at The Paramount and having defeated the likes of world title challenger, Mike Arnaoutis, and then, highly regarded prospect, Jose Peralta. On November 30th, Algieri intends to pay homage to his strong hometown fanbase, earn his ninth consecutive victory at The Paramount, and make it a memorable homecoming. Be there to see the return of Chris Algieri, by purchasing your tickets HERE. Algieri, who was developed at the famed Star Boxing venue, The Paramount, moved to the big stage and had a career defining, real life “Rocky” story unfold on HBO on June 14th, 2014 at the Barclay’s Center, in Brooklyn, against heavily favored and feared Ruslan Provodnikov (then 23-2 16 KO’s) for the WBO World Championship. After peeling himself off the canvas two times in the opening round, Algieri put on the fight of his life. 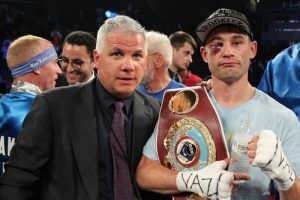 With one eye virtually closed, the gutsy Algieri fought the rest of the fight in brilliant fashion dominating the defending champion Provodnikov to become the new WBO Super Lightweight World Champion*. Premium cable network EPIX®, an MGM company and their popular boxing series The Contender join forces with World Boxing Association (WBA) ahead of the final live bout on Friday, November 9th from the Forum in Los Angeles. For the first time since its inception, WBA will designate the winner of the current season to be automatically ranked in the top ten, creating a shortened path for the winner to participate in a title shot to win the WBA belt. The partnership aims to create more opportunities for young boxers around the world. Over the years, eleven Contender fighters competed in world championships after appearing on the show, with five title winners including: Sergio Mora (WBC Super Welterweight Champion), Cornelius K-9 Bundrage (2-Time IBF Super Welterweight Champion), Ishe Smith (IBF Super Welterweight Champion), Sakio Bika (WBC and IBO Super Middleweight Champion), and Sam Soliman (IBF Middleweight Champion and WBF World Middleweight Champion). “Through the enduring success of the show, The Contender has produced several boxing champions and we thank the WBA for acknowledging the quality of these fighters and providing further opportunities that will enhance their professional boxing careers,” said Eric Van Wagenen, Executive Producer of The Contender. “We are thrilled to work with EPIX and The Contender, a great tournament with strong talent, to create a path to success for the show’s champion by automatically ensuring their top 10 ranking, and ensuring strong competition for boxers globally,” said Gilberto Mendoza, President of World Boxing Association. The WBA is an international boxing organization that sanctions official matches and awards the WBA world championship title at the professional level. Founded in the United States in 1921 by thirteen state representatives as the National Boxing Association, in 1962, it changed its name in recognition of boxing’s growing popularity worldwide and began to gain other nations as members. Gilberto Mendoza from Venezuela was the President of the WBA since 1982 until his death in 2015, after which Gilberto Jesús Mendoza took over as president. NABF and NABO Super Bantamweight Champion Diego De La Hoya (21-0, 10 KOs) will look to shine before a hometown crowd as he defends his titles against Edixon Perez (16-2, 11 KOs) in a 10-round main event at Plaza De Toros Calafia in Mexicali, Mexico. De La Hoya will fight for the first time as a professional in his native country of Mexico in a bout that will be televised live on TV Azteca at a delayed time of 8:30 p.m. PT. In the co-main event, Seniesa “SuperBad” Estrada (14-0, 4 KOs) of East Los Angeles, Calif. will fight for the vacant WBC Silver Light Flyweight Title in a 10-round fight against Debora Rengifo (10-5-1, 5 KOs) of Rio Chico, Venezuela. The undercard of this event will feature five competitive fights with local prospects along with a series of amateur bouts to begin the night. Jesus Riegos (5-0, 3 KOs) and Cristian Pimentel (6-2, 2 KOs) will meet in a four-round super bantamweight fight in a battle between Mexicali, Mexico natives. Jose Dorantes (15-0, 9 KOs) of Tijuana, Mexico and Alexandro Zarate (6-6, 4 KOs) of Navojoa, Mexico will clash in a featherweight fight scheduled for six rounds. Miguel Espinoza (3-3, 1 KO) will participate in a four-round lightweight fight against fellow Mexicali, Mexico native Alejandro Leon in what will be the latter’s professional debut. Rafael Flores (1-0) of Mexicali, Mexico will face Luis Lomeli (0-1) of Mexicali, Mexico in a four-round 135-pound battle. Banner Promotions is proud to announce the signing of former Olympian and current super middleweight Naim Terbunja. “Naim has a blue chip pedigree. He was an Olympian, and the bout he lost was close. He has had one bad fight at super middleweight. I believe he has the ability to be in position to fight for a world championship. He has an awkward style, and a good chin. He now has a good opportunity with Banner Promotions to realize his potential,” said Terbunja’s manager, Pat Zagarino. “We happy to have signed Naim. He was an Olympian, and we think he can become a player in the super middleweight division. We look forward to getting him in the ring before the end of the year, and we will get him in prime position in 2019,” said Banner Promotions President Artie Pelullo. On Friday, November 9 at 10pm ET/7pm PT, premium pay television network EPIX® will air the finale of The Contender live from the “Fabulous” Forum in Los Angeles. In the two-hour special episode, the final fight will showcase the end of a long journey for two fighters, one of whom will be crowned the new 160-pound middleweight champion of The Contender and awarded a $250,000 prize during the live finale. 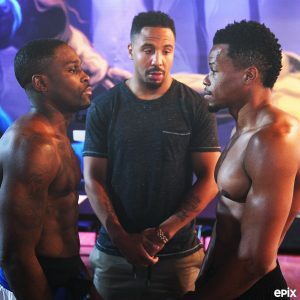 The fifth season of television’s boxing tournament/reality series The Contender premieres Friday night on EPIX with an updated look, new trainers and a new host. 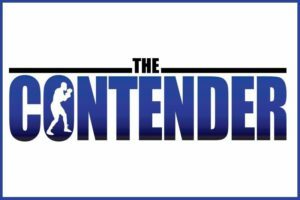 Hosted by former super middleweight and light heavyweight champion Andre Ward, the Contender examines the lives of 16 boxing hopefuls competing for the chance to win a six-figure purse and the title of ultimate Contender. Divided into two teams of 8, the fighters will live together in close quarters while being guided by world-renowned trainers Bro. Naazim Richardson (trainer of former champions Bernard Hopkins, Sugar Shane Mosley)and Freddy Roach (trainer of Manny Pacquiao, Miguel Cotto)with Ward stopping in from time to time to impart wisdom. This season, the participants will compete at the middleweight limit of 160 pounds, the weight class led by WBC/WBA/IBF champion Gennady Golovkin (fighting Canelo Alvarez September 15 in Las Vegas) and WBO champion Billy Joe Saunders (fighting Demetrius Andrade October 20 in Boston). While a Contender win doesn’t guarantee a title shot once the outcome is determined, it could prove to be decent sized bargaining chip to entice other fighters into the ring. A Ukrainian immigrant, Olympian, Ievgen Khytrov recently relocated to America to pursue his dream of becoming a world champion and to create a better life for his family. A dedicated, quiet, religious man. He’s also the one to beat. Always at the center of schoolyard fights growing up, Malcolm “The Punisher” McAllister now channels his energy into helping others rebuild outside of foreclosure and his young, growing family. In boxing has built an impressive KO record and the 2014 Golden Gloves title on his journey to take the title of The Contender. This Atlanta native is the current record-holder for fastest KO in Georgia, a four0time Golden Gloves state champ and Bronze medalist. Quatavious Cash is fighting for his late mother and for the chance to prove that a life of fighting street gangs can be channeled for good. Reformed from a hard life on the streets, fraught with drugs, death and family suicide, Michael Moore is a natural hustler and leader. Married with two kids, Moore is constantly moving from state to state with his family in tow in pursuit of the boxing dream. A fan of the original Contender series growing up, Gerald “G5” Sherrell is an undefeated and explosive fighter with a level of unrivaled and self-proclaimed swagger. Hailing from the projects, this multiple time Golden Gloves, Silver Gloves and Junior Olympic competitor, this local zoo security guard by day, and young father by night, is looking to bring boxing glory back to his hometown of Pittsburgh. At a time when he needed to sell drugs to support himself at the age of 13, a stepfather’s ultimatum: be grounded or go to the boxing gym was his saving grace. Now a humble father of two, and sitting with one of the best rankings in the competition, his 24 KO’s send a signal that he will not fight silently but his cocky attitude has beat him more than just once. 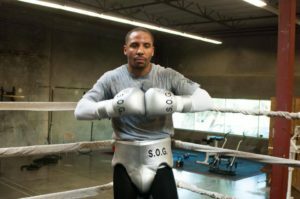 One of four kids raised by a single mom and the first person in his family to graduate college, Lamar “Omega” Russ takes pride in being the underdog, and beneath the loud exterior is a boxer that needs to prove he can put his money where his mouth is. HBO, ESPN and a first round KO on Showtime do all the talking. Previous winners of The Contender include: Sergio Mora (ex-WBC super welterweight champion), Grady Brewer, Sakio Bika (ex-WBC super middleweight champion), and Troy Ross. The Contender Airs on EPIX at 9/8c. 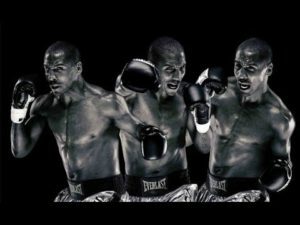 From 2005-2009, “The Contender” showed television viewers the struggles and triumphs of struggling boxers determined to crack through to the big time. With heavyweight star power like Sugar Ray Leonard and Sylvester Stallone, The Contender would offer viewers highlights of the contestant’s plights along with highlights of the contestant’s ring battles with one another. Now, The Contender is coming back. On August 24th, EPIX will run a new, revived Contender, which will feature 16 new contestants and the talents of host and mentor Andre Ward. I asked Ward if he felt his personality, which is far from the showy personas many fighters like to showcase, made him a natural fit for a show which focuses primarily on people’s struggles, issues and dreams. “I genuinely love the sport,” he said. “I care about the fighters because I was a fighter.” The show’s executive producer, Eric Van Wagenen, had nothing put praise for The Contender’s new host, claiming that after “about a fifteen minute conversation with Andre, I felt the franchise was in safe hands.” A fight fan, Wagenen was impressed with what he saw in Ward outside of the ring. Van Wagenen, a close associate of original (and current) creator Mark Burnett, promises a Contender that will be in tune with the times. “I was involved with The Contender in its original form,” he said, adding that, with better production values, the new Contender has “all the things that make a show successful now.” One of those things will be a social media presence, and also full footage from the fights, rather than just highlights. 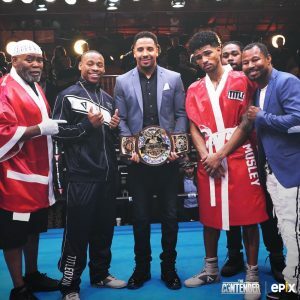 Premium pay television network EPIX® has announced the 16 fighters who will be facing off with one another for the championship belt on the revival of boxing franchise series The Contender this fall. The highly anticipated 12-episode season, from MGM Television and Paramount Television, will premiere on EPIX on Aug. 24, 2018 at 10 PM ET/PT. ◦Ievgen “The Ukranian Lion” Khytrov, Age: 29, Rank: 20, Hometown: Brooklyn, N.Y.- A Ukrainian immigrant, Olympian, Ievgen Khytrov recently relocated to America to pursue his dream of becoming a world champion and to create a better life for his family. A dedicated, quiet, religious man. He’s also the one to beat. ◦Eric “Babyface Assassin” Walker, Age: 34, Rank: 68, Hometown: Plaquemine, La. – Incarcerated at 15 years old and spent 14 years behind bars for robbery and attempted murder, Eric “Babyface Assassin” Walker learned to box while in prison. He is now fighting for a second chance at life, living proof that it’s never too late to live out your dreams. ◦John “Apollo Kid” Thompson, Age: 29, Rank: 70, Hometown: Newark, N.J. – After losing his mother to AIDS at six years old, this married performing artist, painter and fighter, John “Apollo Kid” Thompson is here to prove to the world that he can’t be boxed into a single category despite holding impressive titles including the 2015 WBA-NABA Super Welterweight, WBO Inter-Continental Super Welterweight and Boxcino Tournaments. ◦Malcolm “The Punisher” McAllister, Age: 27, Rank: 172, Hometown: Long Beach, Calif. – Always at the center of schoolyard fights growing up, Malcolm “The Punisher” McAllister now channels his energy into helping others rebuild outside of foreclosure and his young, growing family. In boxing has built an impressive KO record and the 2014 Golden Gloves title on his journey to take the title of The Contender. ◦Brandon “The Cannon” Adams, Age: 28, Rank: Inactive, Hometown: Los Angeles, Calif. – A bold fighter in the ring, Brandon “The Cannon” Adams knows firsthand what it means to push through adversity and step up to care for his family when there’s no one else around to. Coming from a poverty stricken neighborhood, this larger than life father of two marks his return to boxing after a three year hiatus, initiated by a loss to fellow competitor, John Thompson. ◦Quatavious “Cash” Cash, Age: 26, Rank: 161, Hometown: Las Vegas, Nev. – This Atlanta native is the current record-holder for fastest KO in Georgia, a four0time Golden Gloves state champ and Bronze medalist. Quatavious Cash is fighting for his late mother and for the chance to prove that a life of fighting street gangs can be channeled for good. 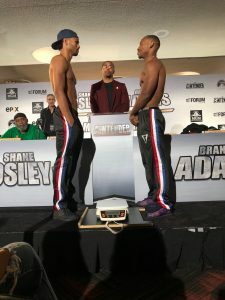 ◦Shane “Sugarman” Mosley, Jr., Age: 27, Rank: 149, Hometown: Santa Monica, Calif. – The lone single contender, son of legendary Hall of Fame boxer “Sugar” Shane Mosley, Shane “Sugarman” Mosley Jr. is fighting to step out of his father’s shadow and carve out his own legacy. ◦Daniel “El Chapulin” Valdivia, Age: 25, Rank: 116, Hometown: Tulare, Calif. – A natural salesman and real estate agent by day, nicknamed “El Chapulin” (“Grasshopper”) for his boundless energy, Mexican immigrant Daniel Valdivia was born to step into the ring. With several titles including the NABF Super Welterweight Champion as an underdog, he’s chasing fame to prove giving up college for boxing was the right move. ◦Michael “The Silverback” Moore, Age: 31, Rank: 252, Hometown:Cleveland, Oh. – Reformed from a hard life on the streets, fraught with drugs, death and family suicide, Michael Moore is a natural hustler and leader. Married with two kids, Moore is constantly moving from state to state with his family in tow in pursuit of the boxing dream. ◦Gerald “G5” Sherrell, Age: 24, Rank: 216, Hometown: Pittsburgh, Pa. – A fan of the original Contender series growing up, Gerald “G5” Sherrell is an undefeated and explosive fighter with a level of unrivaled and self-proclaimed swagger. Hailing from the projects, this multiple time Golden Gloves, Silver Gloves and Junior Olympic competitor, this local zoo security guard by day, and young father by night, is looking to bring boxing glory back to his hometown of Pittsburgh. ◦Morgan “Big Chief” Fitch, Age: 34, Rank: 154, Hometown: Pittsburgh, Pa. – Injury-plagued throughout his career, the Native American hailing from Southern Louisiana is a married father of three. Knowing that he’s old for the sport, Morgan “Big Chief” Fitch has one last shot at making his boxing dreams come true. ◦Marcos “Mad Man” Hernandez, Age: 24, Rank: 104, Hometown: Fresno, Calif. – Having been bullied from a young age after an accident left him with burns on 30 percent of his body, Marcos “Mad Man” Hernandez is fighting for his young autistic son, in hopes that he won’t be bullied the same way he was. With Junior Olympics, 2012 Blue and Gold titles and “Mexican-go-forward” style fighting he may be overlooked and underestimated. ◦Tyrone “Young Gun” Brunson, Age: 33, Rank: 39, Hometown: Philadelphia, PA – At a time when he needed to sell drugs to support himself at the age of 13, a stepfather’s ultimatum: be grounded or go to the boxing gym was his saving grace. Now a humble father of two, and sitting with one of the best rankings in the competition, his 24 KO’s send a signal that he will not fight silently but his cocky attitude has beat him more than just once. ◦Lamar “Omega” Russ, Age: 31, Rank: 115, Hometown: Wilmington, N.C. – One of four kids raised by a single mom and the first person in his family to graduate college, Lamar “Omega” Russ takes pride in being the underdog, and beneath the loud exterior is a boxer that needs to prove he can put his money where his mouth is. HBO, ESPN and a first round KO on Showtime do all the talking. ◦John “The Rock” Jackson, Age: 29, Rank: 63, Hometown: St. Thomas, U.S. Virgin Islands – A divorced father of two, this slick and agile boxer, Virgin Islander John “The Rock” Jackson started fighting at 12 years old, following in his world champion father Julian Jackson’s footsteps at the Pan American Games and 2008 Olympics. He comes from wealth but cares for the underprivileged and dreams of making his island proud bringing visibility to those struck by recent natural disasters. ◦Devaun “Unique” Lee, Age: 30, Rank: 82, Hometown: Jamaica Queens, N.Y. 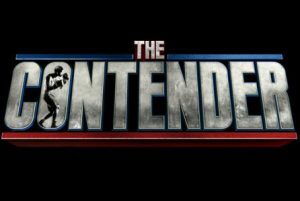 THE CONTENDER returns to our television screens later this year after being picked up by the premium cable and satellite network Epix – the iconic show has been off air for nine years since its original run between 2005 and 2009 but with the fresh backing of the Epix network and a renewed passion for the format from Mark Burnett, President of MGM Television and Digital, this fan-favourite is sure to pick up where it left off. When announcing the relaunch of The Contender, Burnett declared “Boxing belongs on premium pay television and there is no better home for The Contender than EPIX” , before announcing his vision to “tell stories of the fighters, the families and their difficult journeys in the emotionally compelling Contender style, so that viewers get to vicariously ‘walk a mile’ in the boxers shoes”. The series will showcase 16 fighters, in two TUF-style teams, trained by world class boxing coaches as they live together, sleep together, train together over the course of the season in the bid to be crowned the Ultimate Contender, taking a home a six-figure purse, in an elimination competition designed to test them both in the ring and out of it. Although no official weight class has been announced for the revival, it is understood that the show will focus on the middleweight division – where Gennady Golovkin, Billy Joe Saunders and Ryota Murata currently rule the roost. For the boxers involved there is no better platform to launch their career into the big time than via The Contender, a proven format that has seen 11 of its competitors go on to fight for world titles with Sergio “The Latin Snake” Mora being the most notable to come through the challenging 15-week process. Having reached 180 million cumulative viewers over its first four seasons, according to Nielsen Media Research, the format is a marketable hit with audiences both domestic and international – but in a bid to enhance viewership it is understood the Epix will air each week’s elimination fight in its entirety as opposed to the heavily edited versions that drew criticism from many boxing fans previously. The first winner of the franchise, Mora challenged for the WBC World Super Welterweight title against Vernon Forest in 2008 – winning a Unanimous Decision – before a failed defence against the same opponent, a split decision draw against Shane Mosley and two challenges for Daniel Jacobs WBA Middleweight title in 2015 and 2016. Marking a welcome return of boxing on Epix this will be the network’s first venture into boxing since Vitali Klitschko vs Odlanier Solis back in 2011 and compliments their current sporting portfolio that features the Bellator Fighting Championship as their lead programming. Hold on to your seats because THE CONTENDER is back and it’s bigger and better than ever before. Sun City is one of the world’s poorest, crime and disease ridden places in the world. It’s a sprawling shanty town on the outskirts of Port-au-Prince, Haiti. Hope seems to have no place in this wretched, forbidden area of the Earth. Out of this comes Evens Pierre who has worked his way up to the No. 1 contender for the title WBA champion Jorge Linares now holds at lightweight. Pierre is 29-1 (19), at 33 years of age. He goes by the nickname “The Sun City Kid”. He is promoted by Jacques Deschamps a businessman of French extraction who has put time and money into the career of Pierre because Pierre is a role model. His hope is to have Pierre fight Linares for the title. Pierre goes to Evangelical groups to speak against drugs and crime. He buys food that he sends to Sun City. He plans to open a boxing school. If Deschamps is able to have Pierre fight in Haiti, it will be a momentous event probably held at the national soccer stadium that can probably hold 20,000 people. 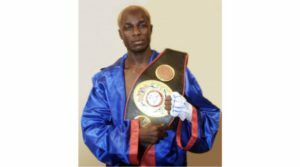 The poor people in Haiti have very little to cheer about and having Pierre fight for a world title would make that unlucky country proud. “Even if I make a lot of money I will never leave Sun City,” said Pierre. Pierre holds the WBA Fedelatin Lightweight title that he won stopping Nicaraguan Rene Gonzalez, 31-6-1, back in November of 2014 for the second time. In his lone fight in May of 2015 he defended that title defeating Jesus Cruz Biblano, 15-9, of Mexico, by an 11 round decision. In 2016 he defended that title twice. In April he defeated Tomas Mendez, 21-6, of the Dominican Republic and in November in his biggest win he defeated former WBA & IBF champion Juan Carlos Salgado, 26-6-1, of Mexico. In March of 2017 he stopped Alfonso Perez, 12-8, of Venezuela, in 8 rounds in a non-title bout. In his most recent fight in October he defended the title and knocked out Jesus Laguna, 21-10-2, of Mexico in five rounds. Pierre’s first twenty-four fights were in Panama up until the Gonzalez fight at the Caribe Convention Center in Petionville, Port-au-Prince, where his last six fights have taken place. Linares, 43-3 (27) is from Venezuela but resides in Japan and has defended his WBA title he won in September of 2016 twice. He lost in his first attempt in 2011 for the WBC title but won that vacant title in 2014 in his last appearance in Japan. He defended it twice and gave it up to win the WBA title. Three of his title fight have been in the UK, one in Venezuela and the last at the Forum in Inglewood, CA, defeating the now No. 3 contender Luke Campbell of the UK. Linares held the same title that Pierre now holds when he fought for the world title. Pierre’s only loss was in his thirteenth fight losing to Rosano Lawrence, 12-9-1, of Panama, in April of 2010, due to the fact the referee penalized him three points. He reversed that loss three fights later stopping Lawrence in six rounds. He is on a seventeen fight win streak since his only loss. He won the WBA Fedelatin title back in July of 2010 just prior to the re-match with Lawrence defeating Augusto Pinilla, 14-3-1.